Operational memory is a nonvolatile part of system memory of the computer, which is used for the temporary storage of commands and data needed by the CPU for execution. The operating storage device (RAM) is a device which implements the functions of operational memory. Operational memory is the name it is fast. This allows the CPU almost instantly to read the necessary data that is required for it to work. Data in RAM are only during operation of the computer. When the computer is shut down, all the information in RAM is deleted. Related to this is the need to preserve the results of the programs before shutting down the computer. 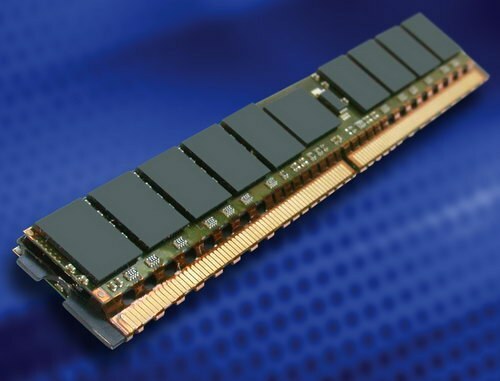 The RAM has a direct impact on what number of tasks can be processed simultaneously by the computer.Random access memory also referred to as devices with random access. This suggests that the processor can access the in-memory data regardless of the order in which they are in it. It was operational memory is implied when talking about the memory of the computer. Specifically the RAM in which data is stored.The operational memory also called RAM (Random Access Memory). Allocated dynamic random access memory (DRAM) and static (SRAM). Dynamic memory allows multiple data writing, but at the same time it requires constant updates. Static random access memory, this upgrade is not required, it has a quicker job.Operational memory is volatile. This means that the information stored in memory as long as the computer is turned off. After it is turned off the data in memory is erased. Information to be preserved, it must first save to hard disk or other storage device. Many programs automatically save backup copies of information that she was not lost in the event of an unexpected power off of the computer.